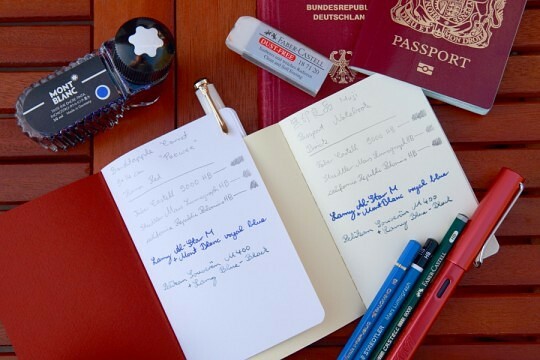 Home » Uncategorised » Why did stationery become so expensive? Recently, I started to wonder why some of the items bought in the past years and month got so expensive. Here are some examples. All prices are from Cultpens, just because that’s where these items were bought. I didn’t pick Cultpens because their prices increased more or less compared to other shops – other shops had similar prices at the same time and have similar prices now. Example: The price Niche Pens charged for the M400 was nearly the same at the time and is nearly the same now. Let’s have a look how the prices developed. Neither RPI nor CPI were as high as the stationery price increase, even when you take the VAT increase into account. One point to mention is however that these pens are what I would call luxury pens1. So luxury stationery went up2. How did the price of branded, good quality stationery increase? Interesting. That’s much closer to inflation. The Stabilo pencil even got cheaper. Unlike all other products mention so far the Stabilo is, as far as I know, not made in the eurozone. Maybe the Euro is one of the reasons behind the price increase, the Pound lost a lot of value against the Euro and QE certainly doesn’t help to keep it’s value up4. OK, that’ Europe, but with Japan being a big manufacturer of stationery, how did the price of Japanese made pens develop? The price were quite stable, they actually even went down, especially in real terms! So. Luxury stationery prices went up a lot. Eurozone stationery got more expensive, but in real terms it probably kept its price, especially when taking the VAT increase into account. Non-Eurozone stationery went down in price. I wonder what happened to luxury stationery from Japan. Did it go up or down in price? Did anyone buy, let’s say a Pilot Falcon or something similarly priced in the last years in the UK? How much did you pay? The old price was reconstructed from the order confirmations which listed prices for all articles without VAT and the VAT sum for the whole order. This means that the old price listed for stationery might be off by a penny or so. I’d also like to add that this is not at all supposed to be representative. Price Increase / Year is what it say on the tin. Price Increase divided by the years since the item was bought. Compounding has not been taken into account, hey: I’m not an accountant or economist. The pictures are from old blog posts (here and here), just to put some colour into this blog post. Thank you for sharing your observations. I have wondered about one or the other price too but have noticed some increased prices for items from Japan. As far as luxury stationery is concerned I wouldn’t be surprised if the prices have deliberately been risen since the sales of many luxury items went up. Do you remember which items became more expensive? With the Yen getting weaker in recent weeks there’s a possibility prices might come down again. I agree, this might be deliberate, maybe to make these pens Veblen goods… Regarding the Pelikan pen, it has a gold nib and the price of gold went up , plus there some manual work involved, so some increase might be naturally occurring. 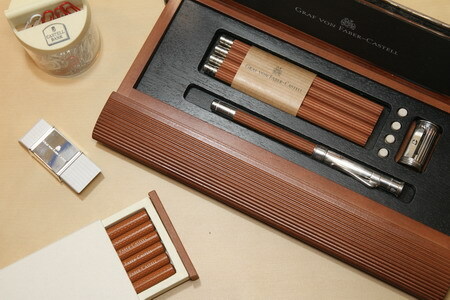 Regarding Graf von Faber-Castell, I assume they want to make them really high-end. Their “Tableau” for example has been made moderately more complicated by adding metal ends, but at the same time the price has rocketed. The first items which came to my mind were the Carl sharpeners. I have bought three plus some for colleagues, and about two years later their price was about 30% higher. There may be another cultural-related aspect. In Germany, many people assume that high-quality products must be expensive. While this may be understandable to a certain extent, the reverse may not – quite a few are reluctant to buy good items because of their comparatively low price which let them doubt the quality.